Altar Desert and Pinacate Volcanic Area in northwest Sonora, and Alamos in southeast Sonora. In the adjacent state of Sinaloa is the most spectacular sight of all, the Copper Canyon. Visit the Copper Canyon in the fall or spring, to avoid the cold and snow. See the Pinacate area in the spring. 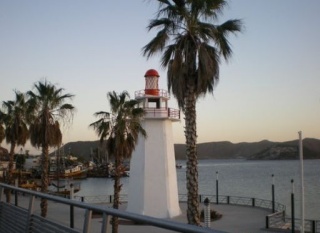 Don't forget to visit nearby Guaymas for shopping or sight seeing. Take a day trip to Guaymas, a 20 minute drive from San Carlos. This relatively new port is the second largest on Mexico's Pacific Coast (Manzanillo being the first). Guaymas is best known for being one of the largest shrimp producers in Mexico. So if you love those camarones (shrimp), dining in Guaymas should be a distinct pleasure. Of course, it's not all this portside town has to offer in the way of good eats. Filet of sole, grouper and red snapper are also very fresh and popular regional catches. Among others, the tastes of Italy and Greece can also be found in the area. In 2008 a new port was built, with the aim of boosting tourism. Now providing the amenities to support large cruise ships, Guaymas has become one of Mexico’s newest cruise ship ports. The city is home to more than 130,000 people. If shopping is on your agenda, Guaymas now has Sam’s Club and a Wal-Mart. Step back in time as you tour the neoclassic San Fernando Church and the Moorish 13 de Julio Plaza in the historic town center. Explore the popular beaches and picturesque bays in nearby San Carlos. Visit a world class pearl farm or journey to magical Las Barajitas Canyon, home to three separate ecosystems. The waterfront Malecon at the west end of Avenida Serdan still offers slower paced vistas of the magnificent Sea of Cortez. Fishing boats fill the waters each morning in search of their daily catch. 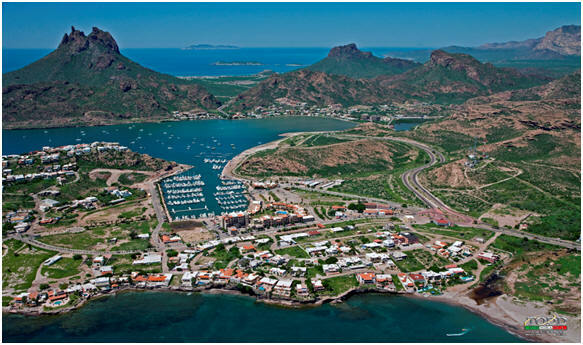 The large and protected natural harbor at Guaymas bay is perfect for boat lovers. Many visitors leave their boats in the water here all year round, and then fly or drive down whenever they have a chance to spend some time. This beautiful harbor, combined with the clear waters of the Sea of Cortez and the tall, rugged mountains just inland combined give this area a unique feeling very similar to the eastern flank of Baja, California. If you possibly can, take an overnight trip to visit this extraordinary desert, 435 miles from San Carlos and not far from Rocky Point (Puerto Penasco ) . It is an experience of a lifetime. The scenery is breath taking and the extreme quiet and solitude are rare in the modern world. This desert was used as a training ground for the astronauts who landed on the moon. It is a rare experience to see the desert as it was before man built all over it. If you love beautiful cactus, this is the place for you. Visitors will see beautiful flowers, and incredible volcanic formations. 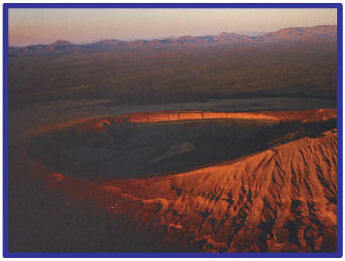 It has the largest concentration of volcanic craters on earth. Go in early spring with a guide. We found it hard to locate a guide and pin down a specific date. You may do better to search for a guide on the internet. Spring is the only time to visit the Pinacate. It is much too hot any other time of year. March is the best month because the wildflowers are incredible then. The fields are drenched in the orange of the Desert Mallows and with scattered white, yellow and lavender flowers. Visitors register at the main park entrance 32 miles south of the Lukeville Arizona/Sonoyta border crossing on Highway 8 . Crater Elegante is one of the main attractions, 12 miles north of the east park entrance. Five miles northwest of Elegante is the El Tecolote campgrounds which has the best access to hiking trails. Cono Rojo campground is 14 miles northwest of the information center, and is the best starting point for hiking up to the volcanic peaks. Overnight camping in the backcountry is permitted with some restrictions. The closest hotels/motels are in Rocky Point (Puerto Peñasco) and they are too numerous to mention. It is easy to reserve a room. The Copper Canyons (Barrancas del Cobre ) cover an area four times the size of Grand Canyon. Since the Grand Canyon has been designated one of the Seven Wonders of the World, what can be said about Copper Canyon? The canyons are deep within the Sierra Madres, and the scenery is magnificent. This is the home of the legendary Tarahumara Indians. The best months to take the Copper Canyon tour are in September through October or from mid-February through early May. The summers are too hot. July and August are too rainy, and in the winter, the mountains are covered with snow. September is the very best time to visit because the weather is sunny but not too hot, and because it’s just after the rainy season. In the fall, the foliage is spectacular. A visit to the Copper Canyon is an experience you will never forget. Plan on at least a four or five day trip. It is only a three or four hour trip from San Carlos to Los Mochis, the western point of embarkation on the Copper Canyon train. You also have the option of starting from El Fuerte, which is easily reached by car or bus from Guaymas. It is much more pleasant to start off from El Fuerte, a charming colonial town somewhat like Alamos. A number of tour companies sponsor round trip tours by train. Most tours start at Chihuahua , stop over at Divisadero and Creel , end up in Los Mochis on the Pacific coast, and return. From Guaymas, travel south to El Fuerte to board the train. This route does not require the long trip from Chihuahua to Los Mochis and is convenient route for tourists from Guaymas/San Carlos The best way to explore the area around Creel is on a side tour of at least one day. You can sign up for a tour at one of the four or five hotels in Creel. Some tours include challenging side trips into the wilderness on foot or by donkey. Some package tours with transportation, tour guides and lodgings can be quite expensive, but you can travel for less if you make your own arrangements or choose a tour company that offers a basic package. Mexico Rail Travel , for example, offers a basic Copper Canyon Tour, including 5 days, and 4 nights with a one night stopover at the lodge in Creel. The Sierra Lodge offers guided tours under the name Creel, The Unique Experience . From the USA, Call 1-800-847-2546. Do your homework on the internet for the right tour for you. Those who do not want to go with a tour group to Chihuahua can drive to Los Mochis or El Fuerte, stay overnight, buy their own train tickets, and make reservations at one of the lodges. They are at the mid-point of the trip. Many travelers recommend The Lodge at Creel. Telephone: 1-456-0071. 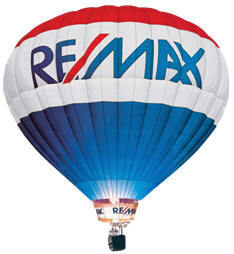 It’s best to go when the town is geared up for the tourist season, from mid October through March. Music lovers would enjoy the festival in January. It's an easy afternoon drive from San Carlos to Alamos. You can go by bus or drive south on Hwy. 15 to Navajoa and then go east. To travel to Alamos by commercial airplane, fly to the city of Obregon, and from there go by car to Alamos, a one-hour drive. Arrangements can be made in advance with Los Santos or Los Tesoros hotels for airport transportation. from all over the world to see the sanctuary for birds and plant life in the lush mountains bordering on the town of Alamos. After the tourist season ends, the little town of Alamos virtually shuts down. For information about guides, transportation and accommodations in Alamos, call 266-0331 from San Carlos, or call from the USA 011-52-642-266-0331. If you visit Alamos during the tourist season, it is necessary to reserve a room in advance. Only 45 to 50 hotel rooms are available in Alamos. There are also a motel and several trailer parks, B & B's and attractive rooms with kitchenettes. Very reasonably priced accommodations can be found at the Hotel Enrique (has no phone), and Hotel Los Portales (647-428-0211), as well as the Hotel La PosadaDe Don Andres (647-428-1110). Higher priced hotels in restored haciendas provide comfort and colonial charm and are quite a bit more expensive. Hacienda de los Santos resort & Spa (647-428-0222), for example, advertises rooms and suites. The deluxe priced hotels are Hotel Los Tesoros Hotel (647-428-0010), and Hacienda de Los Santos Resort & Spa . (Make reservations on line at www haciendadelossantos.com ). Shots of Los Tesoros and Hacienda de los Santos are seen in the movie, The Mexican, filmed in part in Alamos, with Julia Roberts and Brad Pitt.